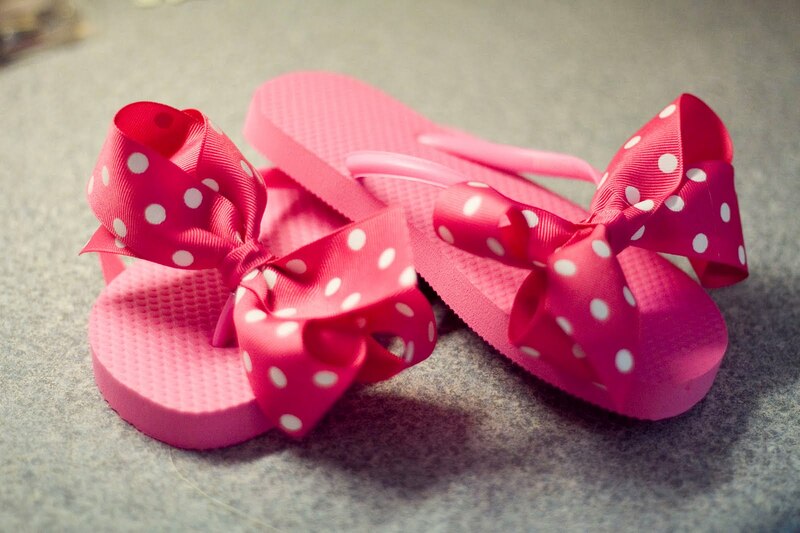 Back to the flops - the ribbon was $1.97 and I have some left over. 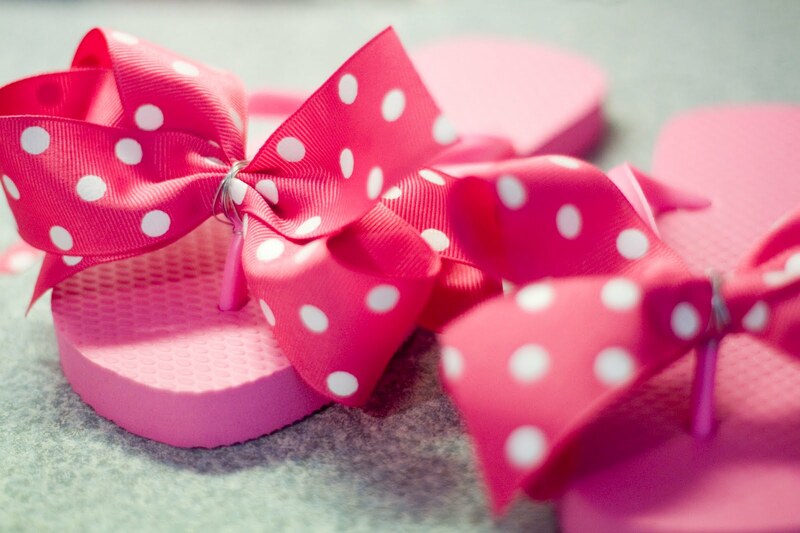 Maybe for a hair bow? I first made the two bows the way I talked about HERE. 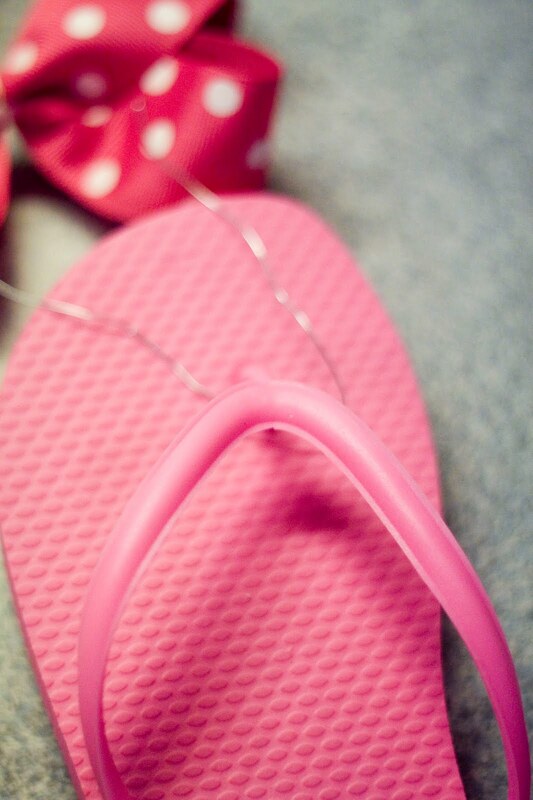 Then I took some wire and secured the bow to the flip flop. Then I took some pink scrap ribbon and covered the wire using a hot glue gun! Love my mini hot glue gun - I got it for like 4 bucks a couple of years ago! And there ya go! 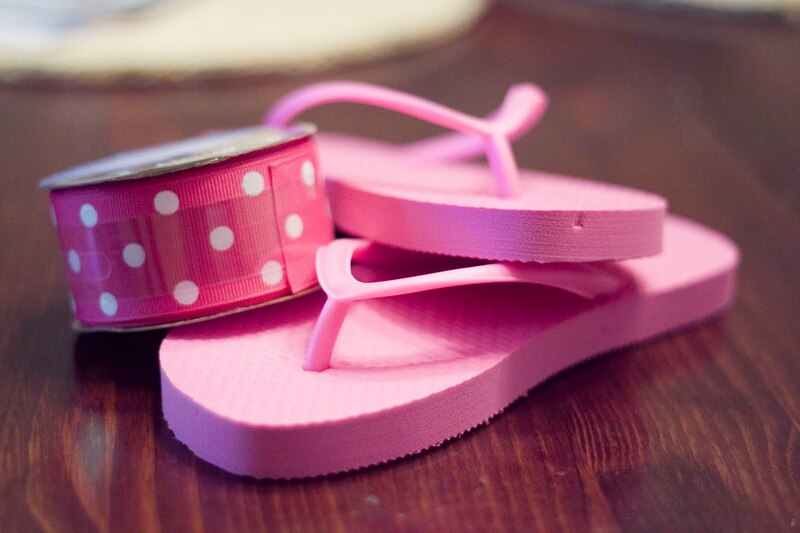 Cute flip flops for under $4! 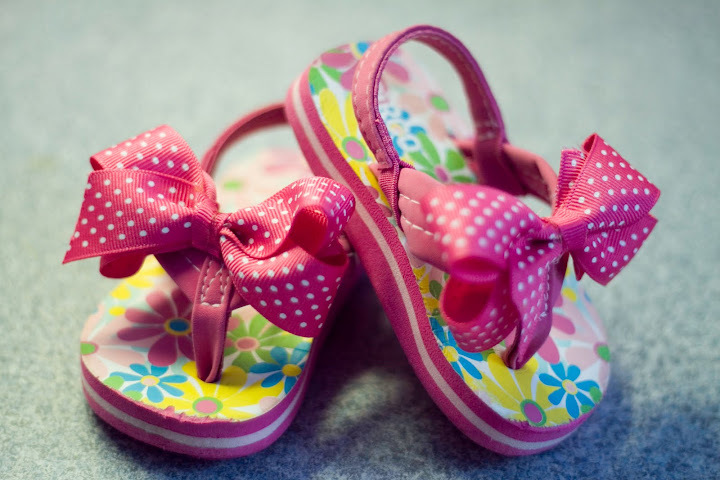 Then I decided to get all crazy and make Lillian a pair!! She LOVES them. These flip flops were from Target! 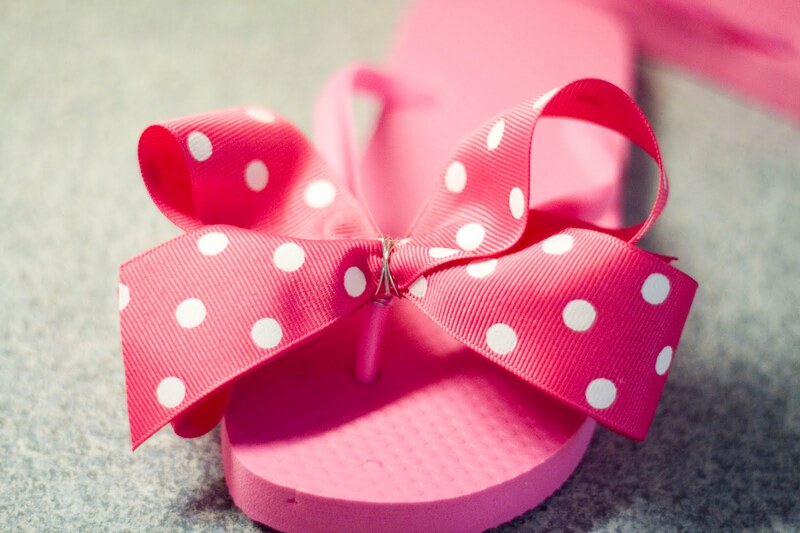 It was a little more difficult to get these bows on. I had to actually sew them to the top. But I think they turned out so cute! 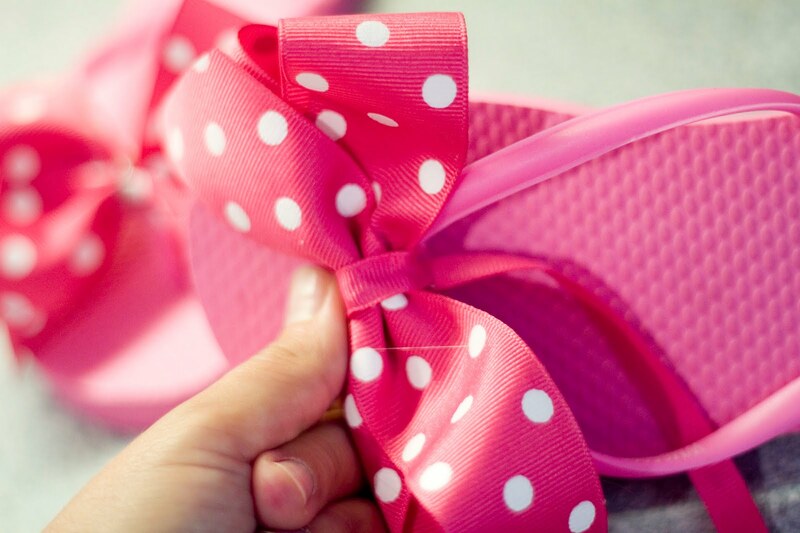 cute...that makes me want to go add bows to my daughter's flip-flops right this very minute...especially some $1 flops we got at target. firty floors? what dirty floors? i didn't see any dirt on the floor! Did You Know I Live Nextdoor To A Celebrity?